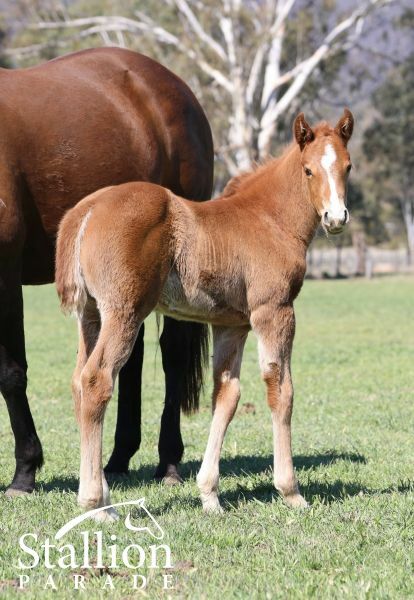 CHOISIR Top colt on The 2001-02 Australasian 2YO Classification. Champion 2YO Colt in Australia in 2001-02. Champion Older Male Sprinter in GB in 2003. 7 wins-3 at 2-at 1000m, 1200m, £281,200, A$1,459,200, VRC Lightning S., Gr.1, Royal Ascot Golden Jubilee S., Gr.1, VRC Emirates Classic S., Gr.2, Royal Ascot King's Stand S., Gr.2, STC Skyline S., Gr.3, AJC Breeders' P., L, William Inglis 2YO Classic S., 2d AJC Sires' Produce S., Gr.1, Newmarket July Cup, Gr.1, STC Pago Pago S., Gr.2, Golden Slipper Ball 2YO H., Matador Tow Bars 2YO H., 3d STC Golden Slipper S., Gr.1, AJC Champagne S., Gr.1, MRC Caulfield Guineas, Gr.1, Oakleigh P., Gr.1, AJC Stan Fox S., Gr.2, VRC Rory's Jester S., Gr.3, 4th NSW Tatt's RC Roman Consul S., Gr.3, STC Heritage S., L. He entered stud in Aust. in 2003. Sire of 1670 progeny to race, 1093 winners (65.0%), earnings of over $116 million, 94 stakes winners, 78 stakes placegetters, inc.
OLYMPIC GLORY (10c, Alzao, Shirley Heights). Equal Leading 3YO Male on the 2013 WTR (Mile). Champion 3YO & Older Male Miler in Europe, France & GB in 2013 & 2014. Champion 3YO Miler in France & GB in 2013. Joint Champion 2YO Colt in France in 2012.8 wins-4 at 2-from 1200m to 1600m, £846,073, €694,295, Longchamp Prix Jean-Luc Lagardere, Gr.1, Ascot Queen Elizabeth II S., Gr.1, Longchamp Prix de la Foret, Gr.1, Newbury Lockinge S., Gr.1, Goodwood Vintage S., Gr.2, Newmarket Superlative S., Gr.2, Newbury Greenham S., Gr.3, 2d Deauville Prix Jacques Le Marois, Gr.1, Prix du Moulin de Longchamp, Gr.1, Royal Ascot Coventry S., Gr.2, 3d Deauville Prix Jacques Le Marois, Gr.1, 4th Longchamp Prix d'Ispahan, Gr.1. STARSPANGLEDBANNER (06c, Made of Gold, Vain). Champion Sprinter in Europe, GB & Ireland in 2010. Champion Sprinter in Australia in 2009-10 & Aust-Bred International Sprinter in 2009-10.7 wins-1 at 2-from 1000m to 1600m, £544,645, €12,125, A$1,326,875, Royal Ascot Golden Jubilee S., Gr.1, Newmarket July Cup, Gr.1, MRC Caulfield Guineas, Gr.1, Oakleigh P., Gr.1, HDF McNeil S., Gr.3, Vain S., L, MVRC Inglis Juvenile P., 2d York Nunthorpe S., Gr.1, Curragh Renaissance S., Gr.3, VRC Festival of Racing S., L, 3d VRC Newmarket H., Gr.1, MRC Blue Diamond Prelude (c&g), Gr.3, 4th VRC Lightning S., Gr.1, MRC Caulfield Guineas Prelude, Gr.3, Dundalk Mercury S., L.
OBVIOUSLY (08g, Montjeu, Silver Hawk). 13 wins from 6½f to 1m, €14,490, US$2,301,438, Hollywood Park Shoemaker Mile S., Gr.1-twice, Breeders' Cup Turf Sprint, Gr.1, Hollywood Park American H., Gr.2, Santa Anita Arroyo Seco Mile S., Gr.2, Del Mar Mile H., Gr.2-twice, Belmont Poker S., Gr.3, Santa Anita American S., Gr.3, 2d Santa Anita San Gabriel S., Gr.2, Arcadia S., Gr.2, San Simeon S., Gr.3, Hollywood Park Robert K Kerlan Memorial H., L, 3d Breeders' Cup Mile, Gr.1, Woodbine Mile S., Gr.1, Santa Anita City of Hope Mile S., Gr.2, Hollywood Park Cool Frenchy S., L, 4th Santa Anita City of Hope Mile S., Gr.2, Del Mar Mile H., Gr.2. SACRED CHOICE (05f, Sir Tristram, Motavato). 9 wins from 1300m to 2100m, A$2,151,890, VRC Myer Classic, Gr.1, ATC Doncaster H., Gr.1, AJC Emancipation S., Gr.2, Aspiration H., L, Ethereal H., STC Clubsnsw H., Veolia Environmental Services H., 2d ATC Queen Elizabeth S., Gr.1, VRC Myer Classic, Gr.1, AJC Princesses Stop at Nothing 2YO H., 3d AJC Epsom H., Gr.1, ATC Chipping Norton S., Gr.1, STC Shannon S., Gr.2, AJC Show County H., L, VRC Moet & Chandon S., AJC Hoxton Park H., Wentworthville H., 4th NSW Tatt's RC Tramway H., Gr.3, STC Epona S., L.
HISTORIAN (07g, Marauding, Zeditave). 5 wins from 1400m to 2000m, NZ$757,550, ARC Zabeel Classic, Gr.1, WRC Thorndon Mile, Gr.1, Hawkes Bay Tumu ITM Spring Sprint H., Gr.3, ARC Auckland Co-Op Taxis H., 2d New Zealand Derby, Gr.1, ARC New Zealand S., Gr.1, Novotel Mile H., Cambridge Stud Yearling Draft 3YO H., 3d Waikato Guineas, Gr.3, 4th Avondale Guineas, Gr.2. CHOICE BRO (09g, Palace Music, Godswalk). 8 wins-3 at 2-from 800m to 1600m to 2017-18, NZ$324,975, A$304,850, Manawatu Sires' Produce S., Gr.1, Taranaki 2YO Classic, Gr.3, ARC Karaka Mile, RL, Toowoomba TC Weetwood H., L, Tattersall's Racing Club H., Marton JC Rural Fuel H., 2d BRC Strawberry Road H., L, Manawatu RC New Zealand Bloodstock 2YO H., BRC Canadian Club H., Chris Anderson Racing H., 3d ATC Bill Ritchie H., Gr.3, BRC Hampden S., L, Spear Chief H., L, Toowoomba TC Weetwood H., L, BRC Twilight Race Day H., Bluescope H., Hog's We'd Love to Meat You H., Rockhampton Cup, ATC TAB Rewards H., BRC Cargo Transport Systems H., 4th ARC Avondale Guineas, Gr.2, Karaka Million, RL. JAPONISME (12g, Encosta de Lago, Sir Tristram). 6 wins-2 at 2-at 1100m, 1200m, A$1,338,865, VRC Coolmore Stud S., Gr.1, ATC Arrowfield 3YO Sprint S., Gr.2, San Domenico S., Gr.3, Bob Ingham 2YO H., Tradie Magazine H., TAB Rewards 2YO H., 2d ATC Tab.com.au 2YO H., 3d VRC Lightning S., Gr.1, MVRC Manikato S., Gr.1, William Reid S., Gr.1, BTC Cup, Gr.1, ATC Roman Consul S., Gr.2, Schweppes 2YO H., 4th ATC Run to the Rose H., Gr.2. THE LAST LION (14c, Brief Truce, Commanche Run). 4 wins at 2, £229,422, Newmarket Middle Park S., Gr.1, Kempton Sirenia S., Gr.3, Sandown Dragon S., L, Doncaster Brocklesby 2YO S., 2d Royal Ascot Norfolk S., Gr.2, Doncaster Flying Childers S., Gr.2, Goodwood Molecomb S., Gr.3, 3d York Gimcrack S., Gr.2, Ascot Sodexo 2YO S.
DIVINE PROPHET (13c, Encosta de Lago, Centaine). 3 wins-1 at 2-from 1200m to 1600m, A$880,525, MRC Caulfield Guineas, Gr.1, ATC Up & Coming S., Gr.3, Dapto Leagues Club 2YO H., 2d ATC Stan Fox S., Gr.2, 3d ATC Champagne S., Gr.1, 4th ATC Golden Rose S., Gr.1. THE MISSION (14c, Redoute's Choice, More Than Ready). Co-champion 2YO Colt in Australia in 2016-17.2 wins at 2, A$513,425, ATC Champagne S., Gr.1, Schweppervescence H., Gr.3, 4th ATC Pago Pago S., Gr.3. KUSHADASI (10g, Carnegie, Grosvenor). 6 wins from 1200m to 2500m, A$543,920, South Australian Derby, Gr.1, SAJC Alan Sheppard Constructions H., John & Esther Abbott H., Anspach Removals & Storage H., Hughes Chauffeured Limousines H., Thomas Foods International H., 2d SAJC Port Adelaide Guineas, L, Dominant H., 3d SAJC The Deck at Morphettville H., 4th SAJC Chairman's S., Gr.3. SIR MOMENTS (10g, Zabeel, Covetous). 9 wins-2 at 2-from 1200m to 1650m, A$826,750, Queensland Guineas, Gr.2, BRC Daybreak Lover S., L, Dalrello S., L, The Phoenix S., L, Tails S., L, Sunshine Coast Cup, L, BRC Qpos H., GCTC Super Starfish H., Ethel Kerrison Birthday H., 2d GCTC AD Hollindale S., Gr.2, BRC Phelan Ready S., L, Sky Thoroughbred Central H., Carbine Club Gold Coast S., 3d SCTC Tails S., L, BRC Padua College H.
HURRIED CHOICE (04f, Catrail, Sir Tristram). 5 wins-2 at 2-to 1300m, A$573,550, AJC Challenge S., Gr.2, STC Theo Marks S., Gr.2, AJC Gimcrack S., L, STC Golden Slipper Day 2YO H., AJC Blues Point Hotel H., 2d STC Reisling Slipper Trial S., Gr.2, Apollo S., Gr.2, Cadbury Favourites Now with Boost H., 3d STC Expressway S., Gr.2, Concorde S., Gr.3, 4th STC Premiere S., Gr.2, AJC San Domenico S., Gr.3. DREAMSCAPE (05c, Ferdinand, Sir Ivor). 4 wins to 1400m, A$390,200, AJC Stan Fox S., Gr.2, Liverpool City Cup, Gr.3, Up & Coming S., Gr.3, Jim Beam H., 2d AJC Southern Cross S., Gr.3, 3d STC Ming Dynasty H., L.
SECRET WEAPON (10g, Montjeu, Shirley Heights). 7 wins from 1200m to 2000m, £3,427, HK$15,670,900, HKJC Longines Jockey Club Cup, Gr.2, Centenary Vase, L, Woodpecker H., La Colline H., Elderly for Care H., Super Kid H., 2d Longines Hong Kong Cup, Gr.1, 3d HKJC Citi Hong Kong Gold Cup, Gr.1, Premier P., L, Lion Rock Trophy, L, Pok Oi Cup, Freesia H., 4th HKJC Sa Sa Ladies' Purse, Gr.3, Chairman's Trophy, L.
CELTIC DANCER (07g, Kala Dancer, Swiftly Morgan). 7 wins-2 at 2-to 1500m, A$531,550, BRC QTC Cup, Gr.2, GCTC Prime Minister's Cup, L, BRC St Margaret's Anglican Girls School H., Coca-Cola Amatil H., GCTC Coastal Tipper Hire QTIS H., 2d Gold Coast Guineas, Gr.3, SCTC Glasshouse H., L, 3d BRC Queensland Day P., L, Zarrafas Coffee H., Greenslopes Emergency Centre H., 4th GCTC Magic Millions Guineas, RL. GLORY AWAITS (10g, Foxhound, Waajib). 5 wins-1 at 2-from 1400m to 1600m to 2018, £201,911, 756,000L., 19,268Dhs, Istanbul Topkapi Trophy, Gr.2, Chester City Plate S., L, 2d The Two Thousand Guineas, Gr.1, York City of York S., L, Doncaster Mile, L, Lingfield Paul Kelleway Memorial S., 3d Newmarket Feilden S., L, Sandown Randox Health H., Newmarket Firestone Building Products 2YO S., 4th Goodwood Thoroughbred S., Gr.3, Newmarket Autumn S., Gr.3, York Hambleton S., L.
STIMULATION (05c, Thatching, Crystal Palace). 3 wins-1 at 2-at 6f, 7f, £166,719, Newmarket Challenge S., Gr.2, European Free H., L, Newbury Dubai Duty Free Golf World Cup 2YO S., 2d Goodwood Lennox S., Gr.2, Newbury Horris Hill S., Gr.3, Newmarket King Charles II S., L, Ascot Hyperion 2YO S., 3d Istanbul Topkapi Trophy, L, 4th Royal Ascot Prince of Wales's S., Gr.1, Jersey S., Gr.3, Newbury Dubai Duty Free Cup, L.
GOLD WATER (05f, Devil's Bag, Nijinsky). 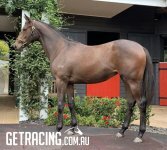 5 wins-1 at 2-from 1200m to 1600m, A$774,250, MRC Angus Armanasco S., Gr.2, AJC Hit It Benny H., STC Group One Club H., Theraces.com.au P., 2d STC Coolmore Classic, Gr.1, Storm Queen S., Gr.1, BRC Doomben Cup, Gr.1, VRC AV Kewney S., Gr.2, Rose of Kingston S., Gr.2, AJC Emancipation S., Gr.2, Doncaster Mile Prelude, L, 3d GCTC AD Hollindale S., Gr.2, 4th VRC Vanity S., Gr.3. CHANDLERY (09c, Mujadil, Groom Dancer). 3 wins-2 at 2-to 1400m, Goodwood Vintage S., Gr.2, 2d Newmarket Superlative S., Gr.2. CHAMPAGNE HARMONY (05f, Zabeel, L'Enjoleur). 3 wins at 1100m, 1200m, A$208,425, SAJC Yallambee Classic, Gr.2, MRC Premier Signs P.H., 2d MVRC Schweppervescence P., 4th SAJC Robert Sangster S., Gr.1, MRC How Now S., Gr.3. RAJASINGHE (15c, Soviet Star, Catrail). 2 wins at 2, £100,789, Royal Ascot Coventry S., Gr.2, 3d Newmarket July S., Gr.2. INCUMBENT (04c, Rubiton, Voodoo Rhythm). 2 wins at 2, A$475,200, VRC Sires' Produce S., Gr.2, MRC Inglis Premier 2YO S., 2d VRC Festive Season 2YO P., MRC Allan Wicks 2YO P., 3d MVRC Cathay Pacific Airways 2YO P.
BIG MONEY (09g, Humam, New Regent). 10 wins to 1350m, A$819,110, ATC Southern Cross S., Gr.3, BRC George Moore S., Gr.3, Qld Tatt's RC WJ Healy S., Gr.3, BRC Lough Neagh S., L, Clarence River JC Ramornie H., L, Scone RC Segenhoe Stud H., 2d ATC Southern Cross S., Gr.3, BRC Lightning H., L, Clarence River JC Ramornie H., L, ATC Ascend Sales Trophies H., Drummond Golf H., 3d ATC Expressway S., Gr.2, Choisir H., Summer Sprint H., 4th ATC Expressway S., Gr.2, MRC Caulfield Sprint H., Gr.2. ELOPING (11f, Rory's Jester, Semipalatinsk). 7 wins-4 at 2-to 1200m, A$1,230,150, ATC Royal Randwick S., Gr.3, MVRC Champagne S., Gr.3, MRC Blue Sapphire S., L, Blue Diamond Preview (f), L, GCTC Silk Stocking H., L, Bendigo JC VOBIS Gold Rush 2YO S., 2d VRC Gucci S., Gr.3, MRC Blue Diamond Prelude (f), Gr.3, GCTC Driefontein H., 3d MVRC Ian McEwen S., Gr.2, 4th BRC Champagne Classic, Gr.2, VRC Sports H., L, City Tatt's RC Lightning H., L.
MONSIEUR JOE (07g, Compton Place, Thatching). 13 wins-2 at 2-to 1050m, £171,331, €163,100, 1,044,118Dhs, Longchamp Prix du Petit Couvert, Gr.3, Deauville Prix du Cercle, L, Tipperary Abergwaun S., L, York Spring Sprint, Jack Berry House S., Eventmasters.co.uk H., Meydan Classifieds Trophy H., Newmarket British Stallion Studs S., 2d Longchamp Prix de Saint-Georges, Gr.3, Sandown Sprint S., Gr.3, Deauville Prix du Cercle, L, York City Walls S., L, Naas Woodlands S., L, Dundalk Mercury S., L, Epsom Dash H., Ascot Ritz Club Casino H., Naas Joe McGrath H., Meydan Emirates Airline Trophy S., Al Naboodah Construction Group H., Al Hadeerah Trophy H., Newmarket Southend Airport S., 3d Curragh Sapphire S., Gr.3, York City Wall S., L-twice, Ascot Fred Cowley MBE S., McGee Group 2YO S., 4th Meydan Al Quoz Sprint, Gr.1, York City Walls S., L, Haydock Achilles S., L, Cork Midsummer Sprint S., L.
UXORIOUS (05g, Keltrice, Rancho Ruler). 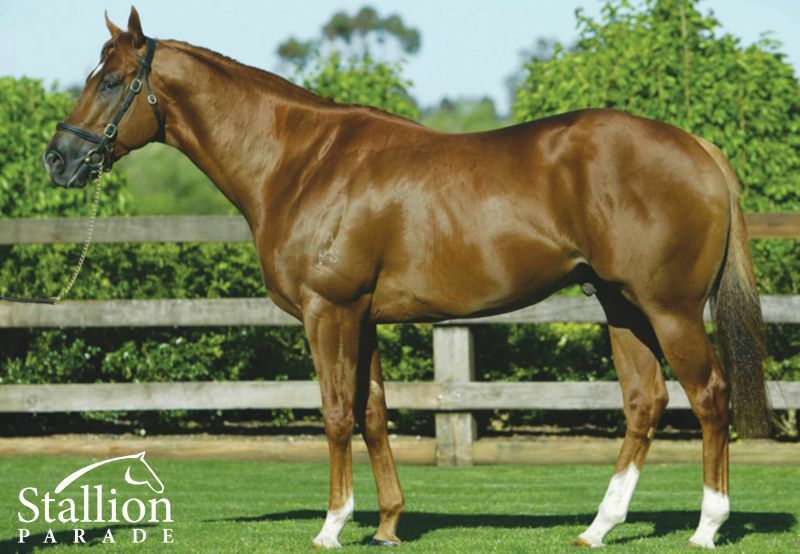 7 wins at 1200m, 1250m, A$287,088, SAJC Spring S., Gr.3, Warrnambool RC Wangoom H., L, SAJC Adelaide Casino H., MRC Rajah Sahib H., Swan Hill JC Golden Topaz, 3d MRC Mitty's Cup. PSYCHEDELIC FUNK (14g, Galileo, Zieten). 5 wins-2 at 2-from 6f to 1m to 2018, £16,140, €156,893, Naas Gladness S., Gr.3, Tipperary Concorde S., Gr.3, 2d Curragh Anglesey S., Gr.3, Naas Lacken S., Gr.3, 3d Leopardstown Boomerang S., Gr.2, Royal Ascot Coventry S., Gr.2, Leopardstown Ballycorus S., Gr.3, 4th Killarney Ruby S., L.
WORTHY CAUSE (11c, Grand Lodge, Lake Coniston). 5 wins-1 at 2-from 1000m to 1800m, A$484,650, GCTC Gunsynd Classic, Gr.3, VRC Paris Lane S., L, BRC Sprite H., Teece Air-Con H., 2d SCTC Ascot H., L, BRC Silky Smooth & Speedy H., Rawgroup Hospitality 2YO H., Sky Racing 2YO H., 3d MRC Eclipse S., Gr.3, GCTC Vo Rogue P., Gr.3, Sunshine Coast Guineas, Gr.3, BRC Bernborough H., L, 4th MRC Moonga S., Gr.3, GCTC Prime Minister's Cup, L.
WOULDNT IT BE NICE (10g, Tactical Cat, Mt. Livermore). 5 wins-2 at 2-to 1200m, A$560,895, ATC Concorde S., Gr.3, June S., L, Australian Turf Club 2YO P., AMWU National H., 2d ATC Canterbury Classic, L, July Sprint H., Can Assist Winter Dash H., Tooheys New H., 3d ATC Premiere S., Gr.2, Newcastle JC Cameron H., Gr.3, ATC Winter S., L, Australian Turf Club 2YO H., Sydney Markets Foundation H., Clubsnsw H., Go the Tahs H., Tab.com.au 2YO H., 4th ATC Missile S., Gr.2, Liverpool City Cup, Gr.3, June S., L-twice, Breeders' P., L.
DIAMOND EARTH (09f, Strategic, Polish Patriot). 5 wins-3 at 2-to 1200m, A$711,425, ATC Nivison S., Gr.3, Scone RC Denise's Joy S., L, ATC Inglis Nursery, MVRC Microflite Helicopters Inglis Banner 2YO S., Scone RC Arrowfield 2YO H., 2d ATC PJ Bell S., L, Inglis 2YO Classic, Ambassador Travel Services 2YO P., 3d ATC The Paslode Sprint H.
PSYCHOLOGIST (07f, Danzero, Mi Preferido). 5 wins-1 at 2-to 1200m, A$277,613, HK$1,181,750, MRC Blue Diamond Prelude (f), Gr.3, Geoffrey Bellmaine S., Gr.3, Winning Edge Presentations Cup, MVRC Adapt Australia H., HKJC Chaozhou H., 2d MRC D'Urban H., HKJC Manawatu Challenge Trophy H., Miraculous H., 3d MVRC Device Technologies H., HKJC Cheung Sha H.
LADY SPRINGBANK (07f, Kendor, Gimont). 3 wins-2 at 2-at 6f, 7f, £6,956, €79,371, Curragh Park S., Gr.3, Leopardstown One Thousand Guineas Trial, Gr.3, Doncaster Sovereign Health Care Heartbeat 2YO S., 3d Haydock Gretsch-Unitas 2YO S.
SETSUNA (15f, Lujain, Omnicorp). 2 wins at 2 in 2017-18, A$276,500, VRC Ottawa S., Gr.3, MVRC Inglis Banner 2YO S., L, 2d ATC Gimcrack S., L, 4th ATC Sweet Embrace S., Gr.2. DEFCON (13c, Encosta de Lago, Geiger Counter). 2 wins-1 at 2-at 1200m, A$368,250, MRC HDF McNeil S., Gr.3, Canberra RC Black Opal S., Gr.3, 2d ATC Silver Slipper S., Gr.2, Canonbury S., Gr.3. I AM SERIOUS (13f, Bianconi, Al Hareb). 8 wins from 1200m to 1600m to 2018-19, A$465,845, ATC Angst S., Gr.3, Chris Waller Hall of Fame H., Owner Benefits Card H., Ford Civil Contracting H., McGrath Estate Agents Qld H., 2d ATC Millie Fox S., Gr.2, Premier's Cup, Gr.3, Spring Preview H., Sydney's West App H., Ascot Restaurant H., 3d ATC Kingston Town S., Gr.3, TAB H.
WHATEVERWHENEVER (07f, Royal Academy, Sackford). 8 wins to 1400m, A$275,690, MRC Moonga S., Gr.3, BRC Coca-Cola Quality H., Biflex H., Lyndhurst Stud P., Brc.com.au H., 2d BRC Nudgee H., L, Eagle Boys Pizza H., Lyndhurst Stud H., 3d BRC Channel Seven H., Glenlogan Park P., St Vincent's Brisbane H., Novotel Brisbane Airport H., Brc.com.au H.
SIR PARKY - TRES MAGNIFIQUE (H.K.) (07g, Seattle Slew, Mr. Prospector). 7 wins-4 at 2-from 1000m to 2200m, Newmarket Somerville Tattersall S., Gr.3, Newbury Racing UK 2YO S., HKJC Broadwood H., Lotus H., ATV the 100 Celebrities H., 2d HKJC Armada H., 3d Newmarket Weatherbys Nursery H., HKJC Deep Water Bay H.
KASABIAN (05g, Air de France, Auk). 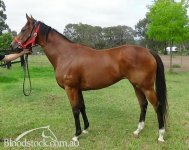 7 wins from 1200m to 1650m, A$348,900, WATC Asian Beau S., Gr.3, Westspeed 3YO H.-twice, Pure Blonde Naked H., Perthracing.com.au H., Ascot Vale Estate H., 2d WATC Westspeed 3YO H., Westspeed 3YO H., 3d Kalgoorlie Cup, L, WATC Westspeed 3YO H., Call TAB to Bet 132369 H., Westspeed 3YO H.
TWITCHY FRANK (14f, Lonhro, Danehill). 6 wins to 1400m to 2018-19, A$388,950, TTC Vamos S., Gr.3, VRC Craftsman H., MRC Allan Wicks H., MVRC MMR Creative Agency H., 2d TRC Bow Mistress S., Gr.3, MRC Ladbrokes Cash in H., 3d Bendigo Bracelet, SAJC Darley in Victoria H.
ROYALSECURITYBABY (10f, Citidancer, Marscay). 5 wins-1 at 2-to 1400m, R346,125, Clairwood Strelitzia S., Gr.3, Greyville Itsarush.co.za H., Rugby 5 H., Master Judge of Pace H., 2d Greyville Soccer 1 One Line Better Chances H., 3d Clairwood Jackpot Quick Mix H.
MA CHOIX (10f, Montjeu, Star Way). 5 wins at 1600m, 1800m, R443,625, Kenilworth Victress S., Gr.3, Cape Town Prawn Festival H., Durbanville Thank You for For Joining Us H., 2d Kenilworth Racing Its'a Rush H., Happy Hour on Raceday P., 3d Greyville East Coast H., L, Kenilworth Thank You for Your Patronage H.
ROCKSHAFT - OCEAN FORTUNE (MAL.) (08g, Rory's Jester, Forest Glow). 5 wins-2 at 2-to 1400m, A$116,070, 95,016Rgt., SAJC Breeders' S., Gr.3, 3d MRC TMB Printing H., MRC (Mornington) Channel 7 Ron Casey Memorial H.
ZIHBA (15c, Galileo, Cadeaux Genereux). 3 wins-1 at 2-at 7f, 1m to 2018, Leopardstown Amethyst S., Gr.3, 2d Leopardstown Heritage S., L.
TAKING AIM (14g, Hussonet, Snippets). 3 wins-1 at 2-at 1200m, 1400m to 2018-19, A$244,800, HK$2,553,900, GCTC Ken Russell Memorial Classic, Gr.3, HKJC Panasonic 100th Anniversary H., Lukfook Beloved Collection H., 2d BRC Sires' Produce S., Gr.2, VRC Talindert S., L, ATC TAB Rewards 2YO P., HKJC Po Yan H., 3d BRC JJ Atkins S., Gr.1, HKJC Salisbury H., HKU Space H., Riding for the Disabled H., 4th VRC Danehill S., Gr.2. WOWEE (09f, Zabeel, Sadler's Wells). 3 wins from 1600m to 2500m, A$99,860, South Australia Fillies Classic, Gr.3. PROISIR (09c, Encosta de Lago, Centaine). 3 wins from 1200m to 1600m, A$475,230, Newcastle JC Spring S., Gr.3, ATC TVN Jockeys Trust H., Myboycharlie at Vinery H., 2d ATC Randwick Guineas, Gr.1, Spring Champion S., Gr.1, 3d ATC Hobartville S., Gr.2. GOSSAMER SEED (08f, Linamix, Rahy). 3 wins-1 at 2-to 7f, €89,380, Curragh Athasi S., Gr.3, 3d Leopardstown Ballyogan S., Gr.3, Cork Midsummer Sprint S., L.
CUTE EMILY (08f, Mi Preferido, Harrisand). 3 wins at 2, A$190,725, SAJC Sires' Produce S., Gr.3, MRC BMW 2YO H., 2d MVRC Bill Stutt S., Gr.2, 3d MRC Angus Armanasco S., Gr.2, Winning Edge Signature H.
ALEXIOS KOMNENOS (14c, Montjeu, Fappiano). 2 wins-1 at 2-at 7f, 1m, Leopardstown Desmond S., Gr.3, Curragh Barronstown Stud 2YO S., 2d Leopardstown Tyros S., Gr.3, 3d Curragh Celebration S., L, 4th Cork Platinum S., L.
His sire sons include Starspangledbanner (10), Stimulation, Olympic Glory, Dreamscape, Incumbent, etc. DANEHILL DANCER (IRE) (Bay 1993-Stud 1997). 4 wins-3 at 2, Curragh National S., Gr.1. Champion GB/Ire. 2YO Sire-twice. Sire of 2096 rnrs, 1414 wnrs, 172 SW, inc. Esoterique (Deauville Prix Jacques Le Marois, Gr.1), Mastercraftsman, Private Steer, Legatissimo, Choisir, Qemah, Lillie Langtry, Dancing Rain, Again, Anna Pavlova, Here Comes When, Hillstar, Speciosa, Atomic Force, Steps in Time, Planteur, Light Fantastic, Ave, Alexander Tango, etc. CHOISIR (c by Danehill Dancer (Ire)) 7 wins. See below. Danny Dancer (g by Danehill Dancer (Ire)) 5 wins-1 at 2-to 1200m, A$87,770, STC MTA P.-twice, 2d STC Sydney Night Racing 12 Days to Go H., Nivea Visage H., 3d AJC Divide & Rule H., James White H., STC Agrum Classic H., Choisir H.
King Coles. 2 wins at 1150m, 1200m, BTC Integrated Group P., 3d BTC Golden Circle H.
How Will I Know. 5 wins to 1300m in Aust. Serious Moonlight. 2 wins at 1000m, 1200m to 2018-19 in Aust. King and Ultima. Winner at 1200m, 2d Singapore TC Initiation P.
City Market. Winner at 1000m in Aust. Captain Charlie. 2 wins at 1200m to 2017-18 in Aust. Mandamus. Winner at 1150m in Aust. Toyhero (g Danehill Dancer) 3 wins to 1550m, BRC Australian Paper H.
No Ties. 2 wins at 900m, 1100m in 2018-19, 2d SAJC Holdfast Insurance H.
Too Chic. 6 wins from 1200m to 2100m, A$163,197, 3d ATC Tab.com.au H., Liverpool City Council H., Pro-Ride H.
Empire of Stone. 2 wins at 1100m in Aust. San's Dancer. 2 wins at 1200m, 1600m to 2018-19 in South Africa. Bespoken. Winner at 1400m in South Africa. La Chic. Winner at 1200m in Aust. Great Selection. Winner. See above. Hard Thinker. 3 wins at 1400m, 1450m in Aust. Auspicious Season. 2 wins at 2, 2d BATC NS 20th Anniversary 2YO H., Mercedes-Benz 2YO H., 3d BATC Coorparoo RSL 2YO H.
Reach Higher. 2 wins at 1000m, 1200m in Aust. Straight And True. 6 wins from 1200m to 2000m in Aust. Pensive Mood. 4 wins. See above. Chief Emperor. 3 wins from 1400m to 1750m in Aust. Strictly Legal - Legal Dancer (Mal.). 3 wins from 1200m to 1600m in Aust. and Malaysia, WATC Prediction H., Sprite H., 2d WATC Swan Gold H.
STAID (f Minor Portion) 4 wins. See above. Brecknock (g Piping Rock) 18 wins-2 at 2-from 1000m to 2100m, VRC Kingsville Welter H., 2d VATC Eclipse S., 3d QTC Ascot H., Mornington Cup. Race Record: 23 Starts 7-5-6 £281,200, A$1,459,200. Top colt on The 2001-02 Australasian 2YO Classification. Champion 2YO Colt in Australia in 2001-02. Champion Older Male Sprinter in GB in 2003. DANEHILL DANCER Champion 2YO in Ireland in 1995. 4 wins-3 at 2-at 6f, 7f, £208,783, Curragh National S., Gr.1, Leopardstown Phoenix S., Gr.1, Newbury Greenham S., Gr.3, Newmarket NGK Spark Plugs 2YO S., 2d Newmarket Dewhurst S., Gr.1, 3d Deauville Prix Maurice de Gheest, Gr.1. He entered stud in Aust. in 1997. Champion Sire in GB/Ire. in 2009. Second on GB/Ire. Sire List in 2006, 2008. Champion GB/Ire. Sire of 2YOs in 2006, 2008, 2009. Champion GB/Ire. 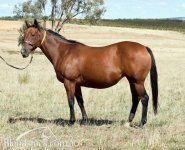 Broodmare Sire in 2016. Sire of 2096 progeny to race, 1414 winners (67.0%), earnings of over $175 million, 172 stakes winners, 120 stakes placegetters, inc.
MASTERCRAFTSMAN (06c, Black Tie Affair, Lyphard). Champion 2YO Colt in Europe & Ireland in 2008.7 wins-4 at 2-from 6f to 10¾f, £282,504, €818,763, US$60,000, Curragh Phoenix S., Gr.1, National S., Gr.1, Royal Ascot St James's Palace S., Gr.1, Irish Two Thousand Guineas, Gr.1, Curragh Railway S., Gr.2, Dundalk Diamond S., Gr.3, Curragh Antonius Pius 2YO S., 2d York International S., Gr.1, 3d Leopardstown Irish Champion S., Gr.1, 4th Longchamp Prix Jean-Luc Lagardere, Gr.1, Breeders' Cup Dirt Mile S., Gr.1. PRIVATE STEER (99f, Semipalatinsk, Copper Kingdom). 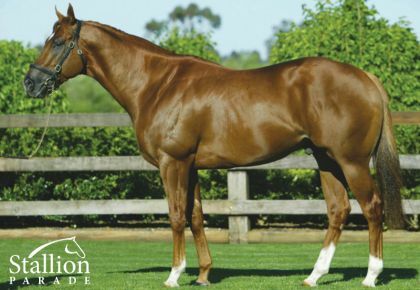 Champion 3YO Filly in Australia in 2002-03.12 wins from 1100m to 1600m, A$3,407,290, AJC Doncaster H., Gr.1, All Aged S., Gr.1, QTC Stradbroke H., Gr.1, AJC Warwick S., Gr.2, Apollo S., Gr.2, STC Concorde S., Gr.3, AJC PJ Bell H., L, James HB Carr S., L, Breeders' Classic, L, Reginald Allen H., L, Fuji Xerox H., 2d STC Coolmore Classic, Gr.1, BTC Doomben Ten Thousand S., Gr.1, 3d AJC Flight S., Gr.1, STC George Ryder S., Gr.1, Theo Marks H., Gr.2. ESOTERIQUE (10f, Dancing Brave, High Line). Equal Leading Older Female on the 2014 WTR (Mile). Champion Older Female Miler in Europe & France in 2015. Champion Older Female Miler in France in 2014.6 wins from 1600m to 1850m, £289,122, €892,455, HK$1,311,000, Deauville Prix Jacques Le Marois, Gr.1, Prix Rothschild, Gr.1, Newmarket Sun Chariot S., Gr.1, Longchamp Prix Vanteaux, Gr.3, Newmarket Dahlia S., Gr.3, Saint-Cloud Prix Parade d'Amour, 2d Longchamp Poule d'Essai des Pouliches, Gr.1, Royal Ascot Queen Anne S., Gr.1, Deauville Prix Maurice de Gheest, Gr.1, Prix du Palais-Royal, Gr.3, 3d Saint-Cloud Prix du Muguet, Gr.2, 4th Deauville Prix Rothschild, Gr.1, Newmarket Sun Chariot S., Gr.1, Prix du Moulin de Longchamp, Gr.1, HKJC Longines Hong Kong Mile, Gr.1, Saint-Cloud Prix Edmond Blanc, Gr.3, Prix Altipan, L.
LEGATISSIMO (12f, Montjeu, Shirley Heights). Equal Leading 3YO Filly on the 2015 WTR (Int.). Champion 3YO Filly in Europe in 2015.5 wins-1 at 2-from 7f to 1¼m, £669,521, €286,185, US$360,000, The One Thousand Guineas, Gr.1, Goodwood Nassau S., Gr.1, Leopardstown Matron S., Gr.1, Gowran Park Victor McCalmont Memorial S., L, 2d Curragh Pretty Polly S., Gr.1, Breeders' Cup Filly & Mare Turf, Gr.1, The Oaks, Gr.1, Curragh Flame of Tara S., L, 4th Leopardstown One Thousand Guineas Trial, Gr.3. CHOISIR (99c, Lunchtime, Biscay). Top colt on The 2001-02 Australasian 2YO Classification. Champion 2YO Colt in Australia in 2001-02. Champion Older Male Sprinter in GB in 2003.7 wins-3 at 2-at 1000m, 1200m, £281,200, A$1,459,200, VRC Lightning S., Gr.1, Royal Ascot Golden Jubilee S., Gr.1, VRC Emirates Classic S., Gr.2, Royal Ascot King's Stand S., Gr.2, STC Skyline S., Gr.3, AJC Breeders' P., L, William Inglis 2YO Classic S., 2d AJC Sires' Produce S., Gr.1, Newmarket July Cup, Gr.1, STC Pago Pago S., Gr.2, Golden Slipper Ball 2YO H., Matador Tow Bars 2YO H., 3d STC Golden Slipper S., Gr.1, AJC Champagne S., Gr.1, MRC Caulfield Guineas, Gr.1, Oakleigh P., Gr.1, AJC Stan Fox S., Gr.2, VRC Rory's Jester S., Gr.3, 4th NSW Tatt's RC Roman Consul S., Gr.3, STC Heritage S., L.
ATOMIC FORCE (05g, Luskin Star, Bates Motel). 11 wins-1 at 2-to 1200m, NZ$176,000, A$777,950, ATC Galaxy H., Gr.1, ARC Railway S., Gr.1, ATC Maurice McCarten S., L, MRC Heath S., L, ATC Hylands Kids Colours Welter H., AJC Thakral Holdings H., Coogee Dolphins H., ATC TAB Number 1 Club H., STC 2GB H., Matthew Talbot Race Day P., 2d WRC Telegraph H., Gr.1, BRC Victory S., Gr.2, STC The Big 6 H., Scone RC Prydes Easifeed Scone Quallty H., AJC Convention Centre H., STC Blackwoods for Sidchrome H., Hawkesbury RC Windsor RSL 2YO H., 3d AJC San Domenico S., Gr.3, MVRC Ian McEwen S., Gr.3, ATC Starlight S., L, GCTC Magic Millions Sprint H., AJC 30 Years of Triple M H., 4th ATC Sebring S., Gr.3, MVRC Carlyon S., L.
QEMAH (13f, Rainbow Quest, Night Shift). Champion Older Female Miler in France in 2017.5 wins-1 at 2-from 1600m to 1700m, £357,386, €374,775, Royal Ascot Coronation S., Gr.1, Deauville Prix Rothschild, Gr.1, Royal Ascot Duke of Cambridge S., Gr.2, Chantilly Prix de la Grotte, Gr.3, Longchamp Prix de la Sorbonne, 2d Lingfield Chartwell S., Gr.3, Deauville Prix des Marettes, 3d Deauville Poule d'Essai des Pouliches, Gr.1, Leopardstown Matron S., Gr.1, Longchamp Prix Marcel Boussac, Gr.1, 4th Deauville Prix Rothschild, Gr.1. LILLIE LANGTRY (07f, Darshaan, Shadeed). Joint Champion 3YO Female Miler in GB in 2010.5 wins-3 at 2-from 6f to 1m, £608,098, €301,201, Royal Ascot Coronation S., Gr.1, Leopardstown Matron S., Gr.1, Debutante S., Gr.2, Naas Fillies' Sprint S., Gr.3, Newmarket Tattersalls Timeform Fillies 2YO S., 2d Royal Ascot Albany S., Gr.3, 3d Curragh Moyglare Stud S., Gr.1. DANCING RAIN (08f, Indian Ridge, Alleged). Champion 3YO Filly in GB in 2011 (Int./Long).4 wins from 2000m to 2400m, £366,901, €238,500, The Oaks, Gr.1, Düsseldorf Preis der Diana, Gr.1, Ascot British Champions Fillies' & Mares' S., Gr.2, Newbury Robert Sangster Memorial Fillies' S., 2d Newbury Fillies' Trial S., L, 3d Ascot British Champions Fillies' & Mares' S., Gr.2. AGAIN (06f, Kahyasi, Top Ville). Joint Champion 2YO Filly in Ireland in 2008.4 wins-3 at 2-at 7f, 1m, €505,421, Curragh Moyglare Stud S., Gr.1, Irish One Thousand Guineas, Gr.1, Leopardstown Debutante S., Gr.2, Curragh Grangecon Stud 2YO S., 3d Leopardstown Matron S., Gr.1. STEPS IN TIME (07f, O'Reilly, Centaine). 9 wins to 1500m, A$1,088,650, ATC Coolmore Classic, Gr.1, Breeders Classic, Gr.2-twice, Bill Ritchie H., Gr.3, Wiggle S., L-twice, BRC Daybreak Lover S., L, ATC Goldners Horse Transport H., STC Theraces.com.au H., 2d ATC Breeders Classic, Gr.2, PJ Bell S., L, 3d VRC Gilgai S., Gr.2, Hawkesbury Guineas, L, 4th ATC Coolmore Classic, Gr.1, MRC Tristarc S., Gr.2. ANNA PAVLOVA (03f, Sure Blade, Habitat). Champion Older Female in GB in 2007 (Intermediate) & 2008 (Long).10 wins-3 at 2-from 1200m to 2500m, £279,534, €149,976, Longchamp Prix de Royallieu, Gr.1, Haydock Lancashire Oaks, Gr.2, York Galtres S., L, Ascot Harvest S., L, Ayr Doonside Cup, L, Navan Salsabil S., L, Haydock Silver Bowl, Doncaster Queen's Own Yorkshire Dragoons Nursery H., Newcastle Chisholm Bookmakers Blaydon Race Nursery H., 2d York Park Hill S., Gr.2, Middleton S., Gr.3, Newmarket Severals S., L, York VC Casino.com H., 3d Curragh Pretty Polly S., Gr.1, York Lonsdale Cup, Gr.2. HERE COMES WHEN (10g, Spinning World, Devil's Bag). Champion Older Miler in Germany in 2014.9 wins-1 at 2-from 1400m to 1650m to 2018, £849,576, €40,000, Goodwood Sussex S., Gr.1, Newmarket Challenge S., Gr.2, Baden-Baden Oettingen Rennen, Gr.2, Haydock Superior Mile, Gr.3, York Hambleton H., L, Chester Boodles Diamond H., Earl Grosvenor H., 2d Sandown Mile S., Gr.2, Goodwood Supreme S., Gr.3, Newbury Dubai Duty Free Full of Surprises H., 3d Newmarket Criterion S., Gr.3, Leicester King Richard III S., L, Windsor Midsummer S., L, 4th Goodwood Sussex S., Gr.1, York Ganton S., L, Epsom Surrey S., L, Kempton Hyde S., L.
PLANTEUR (07c, Giant's Causeway, Lear Fan). 7 wins-2 at 2-from 1600m to 2100m, £76,489, €995,540, HK$660,000, 7,340,000Dhs, Longchamp Prix Ganay, Gr.1, Prix Noailles, Gr.2, Prix d'Harcourt, Gr.2, Windsor Winter Hill S., Gr.3, Lingfield Winter Derby Trial, L, Saint-Cloud Prix le Capucin, Deauville Prix de Crevecoeur, 2d Chantilly Prix du Jockey Club, Gr.1, Longchamp Grand Prix de Paris, Gr.1, Prix d'Ispahan, Gr.1-twice, Prix Niel, Gr.2, Chantilly Prix des Aigles, 3d Meydan Dubai World Cup, Gr.1-twice, 4th Royal Ascot Prince of Wales's S., Gr.1. LIGHT FANTASTIC (04g, Kendor, Century). 5 wins from 1100m to 1600m, A$1,063,400, VRC Australian Guineas, Gr.1, MRC JJ Liston S., Gr.2, Perri Cutten Cup, Gr.2, MVRC Mitchell McKenzie S., L, 2d AJC All Aged S., Gr.1, MRC Futurity S., Gr.1, MVRC Norman Carlyon S., Gr.2, 3d VRC Gilgai S., Gr.2, 4th MVRC William Reid S., Gr.1, MRC CF Orr S., Gr.1, VRC Makybe Diva S., Gr.2. AVE (06f, In the Wings, Ela-Mana-Mou). 5 wins-1 at 2-from 7f to 1¼m, £54,064, €51,999, US$390,386, Belmont Flower Bowl S., Gr.1, Gowran Park Denny Cordell Fillies S., Gr.3, Salisbury Upavon S., L, 2d Woodbine Dance Smartly S., Gr.2, York Lyric S., L, 3d Belmont New York S., Gr.2, Pimlico Gallorette H., Gr.3, Newmarket Call Stan James H.
WHERE OR WHEN (99c, Super Concorde, Sheshoon). 5 wins-3 at 2-from 7f to 1m, £357,464, Ascot Queen Elizabeth II S., Gr.1, Newmarket Somerville Tattersall S., Gr.3, Goodwood Thoroughbred S., L, Ascot Michael Page International 2YO S., 2d Newbury Lockinge S., Gr.1, 3d Royal Ascot Queen Anne S., Gr.1, 4th Newmarket Dewhurst S., Gr.1, York Dante S., Gr.2, Goodwood Celebration Mile S., Gr.2-twice, Sandown Solario S., Gr.3. HILLSTAR (10c, Mark of Esteem, Be My Guest). Champion 3YO in GB in 2013 (Long).4 wins-1 at 2-from 7f to 1½m, £433,713, US$531,900, Woodbine Canadian International S., Gr.1, Royal Ascot King Edward VII S., Gr.2, Newbury Arc Trial S., Gr.3, 2d Royal Ascot Hardwicke S., Gr.2, Newmarket Princess of Wales's S., Gr.2, Haydock Rose of Lancaster S., Gr.3, Chester Ormonde S., Gr.3, Newbury London Gold Cup, Newmarket Pat & Percy Gittings Memorial H., 3d Ascot King George VI & Queen Elizabeth S., Gr.1, Cumberland Lodge S., Gr.3, 4th York International S., Gr.1, Newbury Arc Trial, Gr.3. ALEXANDER TANGO (04f, Woodman, Riverman). 4 wins-1 at 2-from 7f to 9f, €173,861, US$123,000, Belmont Garden City S., Gr.1, Leopardstown Derrinstown Stud One Thousand Guineas Trial, Gr.3, Curragh Kilboy Estate S., L, Ladbrokes.com 2YO Fillies' S., 2d Curragh Royal Whip S., Gr.2, Loughbrown S., L, 3d Leopardstown Debutante S., Gr.2, 4th Irish One Thousand Guineas, Gr.1, Curragh Tetrarch S., Gr.3. SPECIOSA (03f, Sky Classic, Alleged). Champion Older Female in Ireland in 2007 (Intermediate).4 wins-2 at 2-from 7f to 1m, £311,532, €47,502, The One Thousand Guineas, Gr.1, Newmarket Rockfel S., Gr.2, Nell Gwyn S., Gr.3, 2d Curragh Pretty Polly S., Gr.1, Newmarket Earl of Sefton S., Gr.3, 3d Doncaster May Hill S., Gr.2, 4th The Oaks, Gr.1. ALFRED NOBEL (07c, Desert Prince, Warning). 3 wins at 2, £24,600, €227,166, Curragh Phoenix S., Gr.1, Railway S., Gr.2, Leopardstown Irish Stallion Farms 2YO S., 3d Curragh Greenlands S., Gr.3, Strategic Prince 2YO S.
MISS BEATRIX (04f, Catrail, Horage). 3 wins at 2, €1,208,843, Curragh Moyglare Stud S., Gr.1, Shelbourne Hotel Goffs Million 2YO S., Leopardstown Irish Stallion Farms 2YO Fillies S., 2d Leopardstown Silver Flash S., L, Curragh Tally Ho Stud 2YO S., 3d Curragh Phoenix S., Gr.1. ARAPAHO MISS (04f, Exit to Nowhere, Lyphard). 2 wins at 1700m, 2500m, A$710,950, VRC Oaks, Gr.1, 2d MRC Fat Quaddies Cup, 3d Moonee Valley Fillies Oaks Classic, Gr.2, MRC Victoria Gold Cup, L, Rokk Ebony H., 4th VRC AV Kewney S., Gr.2. DUNTLE (09f, Lord at War, Little Current). 5 wins at 1m, £129,462, €191,210, US$7,500, Royal Ascot Duke of Cambridge S., Gr.2, Leopardstown Amethyst S., Gr.3, Desmond S., Gr.3, Royal Ascot Sandringham H., L, 2d Deauville Prix Rothschild, Gr.1, Leopardstown Matron S., Gr.1, 3d Newmarket Sun Chariot S., Gr.1, 4th Leopardstown Derrinstown Stud One Thousand Guineas Trial, Gr.3. OVIDIO (10g, Red Ransom, Kenmare). 7 wins from 1800m to 2800m, R846,975, Kenilworth J&B Urban Honey Stayers' H., Gr.2, Woolavington H., L-twice, 2d Kenilworth Chairman's Cup, Gr.3, 3d Kenilworth Cape Stayers H., Gr.2, Kenilworth Cup, L, 4th Greyville Gold Cup, Gr.2. WAJIR (06c, Caerleon, Troy). Champion 3YO Stayer in France in 2009.6 wins-2 at 2-from 1600m to 3000m, £27,829, €207,210, 264,960Dhs, Longchamp Prix Hocquart, Gr.2, Prix de Lutece, Gr.3, Saint-Cloud Prix Maurice Caillault, L, Prix de l'Hippodrome de Chinon, Meydan Prima Luna H., Chantilly Prix de Villebon, 2d Longchamp Prix de la Breche Aux Loups, 3d Longchamp Prix Noailles, Gr.2, Yorkshire Cup, Gr.2, Newmarket Godolphin S., L, Chester Stand Cup, L, 4th Goodwood March S., L.
MONSIEUR BOND (00c, Song, Charlottesville). 6 wins-2 at 2-at 6f, 7f, £177,117, €60,223, York Duke of York S., Gr.2, Curragh Gladness S., Gr.3, Epsom Fortune S., L, Chester Road Range Wirral S., 2d Newbury Mill Reef S., Gr.2, Goodwood Supreme S., Gr.3, York City of York S., L, 3d Thirsk Classic Trial S., L, Redcar Betabet 2YO Trophy S., 4th Longchamp Prix de la Foret, Gr.1. JUST MAMBO - NITTAN'S CROWN (MAC.) (03g, Kingmambo, Secretariat). 5 wins from 1000m to 1800m, A$217,650, M$2,618,825, STC Phar Lap S., Gr.2, Macau Gold Cup, L, Macau Cup, L, Macau Golden Group Fat Choy Cup, 2d STC Todman Slipper Trial S., Gr.2, AJC Breeders' P., L, NSW Tatt's RC Ming Dynasty H., L, Macau Directors' Cup, L, Race Horse Owners Association Charity Trophy, Macau Golden Group Fat Choy Cup, AJC Guineas Day at Randwick H., Macau Airdrieonians H., Warning H., 3d Macau Directors' Cup, L, Ballina H., Barb H., 4th STC Apollo S., Gr.2, AJC Frank Packer P., Gr.3, Carbine Club S., L, Macau Hong Kong Trophy, L.
WESTPHALIA - SUPER PISTACHIO (H.K.) (06g, Lyphard, Sir Gaylord). 4 wins-3 at 2-from 1200m to 2400m, £56,770, €310,303, US$226,000, HK$9,305,500, Doncaster Champagne S., Gr.2, Tipperary Hurricane Run S., L, HKJC Queen Mother Memorial Cup, L, Curragh Barronstown Stud 2YO S., 2d Curragh Anglesey S., Gr.3, Longchamp Prix de Fontainebleau, Gr.3, Breeders' Cup Juvenile Turf S., L, HKJC Standard Chartered Champions & Chater Cup, L, Mercedes-Benz Hong Kong Derby, L, Hong Kong Exchanges Challenge Cup, Centenary Cup, Curragh Boylecasino.com 2YO S., HKJC Chongqing H., 3d Chantilly Prix du Jockey Club, Gr.1, Longchamp Poule d'Essai des Poulains, Gr.1, HKJC Sa Sa Ladies' Purse, L, Premier P., L, 4th HKJC Queen Mother Memorial Cup, L, Mercedes-Benz Hong Kong Classic Mile, L.
JEREMY (03c, Arazi, Alzao). 4 wins-1 at 2-from 6f to 1m, £237,142, Sandown Mile S., Gr.2, Royal Ascot Jersey S., Gr.3, Newmarket King Charles II S., L, 2d Royal Ascot Queen Anne S., Gr.1, Newbury Hungerford S., Gr.2, Newmarket European Free H., L, Doncaster S., L, 3d Goodwood Sussex S., Gr.1. LOST IN THE MOMENT (07c, In the Wings, Kalamoun). 6 wins from 1600m to 2400m, £146,402, A$131,250, 486,000L., 331,200Dhs, Istanbul Bosphorus Cup, Gr.2, Newmarket Fred Archer S., L, Newbury Royal British Legion Club H., Meydan Aquarius Trophy H., 2d Goodwood Cup, Gr.2, Goodwood Glorious S., Gr.3, Royal Ascot Wolferton H., L, Pontefract Castle S., L, Newmarket Silver Cambridgeshire H., Chester Bet at Corbettsports.com H., 3d York Lonsdale Cup, Gr.2, Newbury Geoffrey Freer S., Gr.3, Newmarket Jockey Club Rose Bowl, L, York John Smith's Cup, 4th Ascot Cumberland Lodge S., Gr.3. PROBABLY (10c, Sadler's Wells, Kings Lake). 5 wins-2 at 2-from 1200m to 2400m, €91,650, 170,000Dkr, 653,000K, 50,000Kr., Curragh Railway S., Gr.2, Ovrevoll Norsk Derby, L, 2d Klampenborg Scandinavian Open Championship, Gr.3, Dansk Jockey Club Cup, L-twice, Hannover Grosser Preis der Hannoverschen Volksbank, L, 3d Curragh Beresford S., Gr.2, Big Bad Bob 2YO S., 4th Curragh National S., Gr.1, Phoenix S., Gr.1. ENDOWING (09g, Sadler's Wells, Kingmambo). 4 wins from 1800m to 2200m, £1,569, HK$10,571,750, HKJC Longines Jockey Club Cup, Gr.2, Sa Sa Ladies' Purse, L, Oriental Express H., American Club Challenge H., 2d BMW Hong Kong Derby, L, HKJC Tai Mo Shan H., Newmarket Sunspot Amusements 2YO S., HKJC Piaget Altiplano Excellent H., Ireland Trophy H., Po Leung Kuk Centenary H., Kyoto H., 3d HKJC Longines Jockey Club Cup, Gr.2, 4th HKJC January Cup, L.
TAMAZIRTE (06f, Lycius, Green Desert). 4 wins at 1500m, 1600m, €415,120, Longchamp Prix Daniel Wildenstein, Gr.2, Prix de la Grotte, Gr.3, Deauville Prix de la Durdent, 2d Chantilly Prix de Diane, Gr.1, Longchamp Poule d'Essai des Pouliches, Gr.1. JAZZI TOP (12f, Zafonic, High Top). 3 wins from 1600m to 2000m, £59,703, €165,540, Deauville Prix de la Nonette, Gr.2, Newmarket Pretty Polly S., L, 2d Longchamp Prix de l'Opera, Gr.1. MEMORY (08f, Diesis, Blushing Groom). 3 wins at 2, Newmarket Cherry Hinton S., Gr.2, Royal Ascot Albany S., Gr.3. NORDTANZERIN (03f, Cortez, Reliance). Champion 2YO Filly in Germany in 2005.3 wins-2 at 2-at 1600m, 2000m, €177,100, Frankfurt Merrill Lynch Euro Cup, Gr.2, Baden-Baden Preis der Winterkonigin, Gr.3, 2d Cologne Schwarzgold Rennen, Gr.2, Frankfurt Frankfurter Stutenpreis, Gr.3, 3d Düsseldorf Preis der Diana, Gr.1, Hamburg IDEE Hansa Preis, Gr.2, Bremen Walther J Jacobs Stutenpreis, Gr.3, 4th Baden-Baden Preis der Hotellerie Baden-Baden, L.
LIEUTENANT (01g, Sovereign Red, Cerreto). 3 wins from 1300m to 1600m, A$416,250, MVRC Alister Clark S., Gr.2, VRC Debonair S., Gr.3, STC Schweppes Agrum H., 2d VRC Paris Lane S., L, NSW Tatt's RC Meriton Serviced Apartments H., AJC IGA H., STC De Bortoli Yarra Valley Winery H., 3d STC Tooheys New 3YO Golden Rose. ONEWORLD (04c, Hurricane Sky, River Rough). 8 wins-1 at 2-at 1200m, 1400m, HK$13,129,350, 736,000Dhs, HKJC Cathay Pacific Jockey Club Sprint, Gr.2, Audemars Piguet Dream H., Cheung Fat H., Chow Tai Fook Aura Series H., Anna Sui Flight of Fancy H., Flamingo H., Billion Win H., Yan Chau Tong P., 2d Cathay Pacific Hong Kong Sprint, Gr.1, HKJC Premier Cup, L, Sha Tin Sprint Trophy, L, Premier Bowl H., L, Super Fit H., Panasonic Joba H., To Kwa Wan P., 3d Meydan Dubai Golden Shaheen S., Gr.1, HKJC Kent & Curwen Centenary Sprint Cup, L, Sprint Cup, L, Sha Tin Vase, L, Chow Tai Fook Bauhinia Sprint H., L, Sha Tin Raceourse Anniversary Cup, London H., 4th HKJC Queen's Silver Jubilee Cup, L, Chairman's Sprint Prize, L, Sprint Cup, L, Sha Tin Vase, L.
CALLWOOD DANCER (04f, Rahy, Bustino). Champion Turf Female in Canada in 2008.6 wins from 7f to 9f, £2,311, US$780,645, Woodbine Nassau S., Gr.2, Allowance-3 times, 2d Woodbine EP Taylor S., Gr.1, Nassau S., Gr.2, Canadian S., Gr.2, Calder My Charmer H., Gr.3, 4th Woodbine Dance Smartly S., Gr.2, Churchill Downs Cardinal H., Gr.3. SUMBAL (12c, Linamix, Persian Heights). 3 wins at 2000m, £5,797, €211,650, Saint-Cloud Prix Greffulhe, Gr.2, Prix de Frauenfeld, 2d Chantilly Prix d'Harcourt, Gr.2, Longchamp Prix du Prince d'Orange, Gr.3, Saint-Cloud Prix Exbury, Gr.3, 3d Doncaster Sports ID Strength in Sport S., 4th Newbury St Simon S., Gr.3. CONTREDANSE (07f, Rahy, Bustino). 3 wins from 1650m to 2200m, £27,727, €271,500, US$59,292, Milan Oaks d'Italia, Gr.2, 2d Deauville Prix de la Nonette, Gr.3, 3d York Lyric S., L, 4th Woodbine EP Taylor S., Gr.1, Saint-Cloud Prix Corrida, Gr.2. INDIAN OCEAN (06f, Fasliyev, Seattle Dancer). 3 wins at 2, A$243,275, STC Magic Night S., Gr.2, Resmed Asia Pacific 2YO H., Rosehill Gardens Events 2YO H., 3d VRC Desirable S., L.
WALTZING MATILDA (11f, Gone West, Nijinsky). 2 wins at 1m, 1¼m, Belmont New York S., Gr.2, 2d Limerick Martin Molony S., L, 3d Curragh Mooresbridge S., Gr.3, Alleged S., L, 4th Curragh Ridgewood Pearl S., Gr.2, Dance Design S., Gr.3, Leopardstown Derrinstown Stud One Thousand Guineas Trial, Gr.3. DOWNHILL RACER (04f, Rory's Jester, Bluebird). 2 wins at 2, A$142,540, STC Magic Night S., Gr.2, MRC Andelosia 2YO P., 2d VRC Seppelt Wines Sprint H., L.
SILENT TIMES (03c, Wild Again, Seattle Slew). 2 wins at 2, Doncaster Champagne S., Gr.2, York Fit as a Butchers Dog Challenge 2YO S., 2d Newbury Happy Valley Auction 2YO S., 3d Curragh Futurity S., Gr.2. LIZARD ISLAND (05c, Spectacular Bid, Nijinsky). Winner at 2, £15,064, €94,476, 16,560Dhs, Curragh Railway S., Gr.2, 2d Goodwood Vintage S., Gr.2, Leopardstown Irish Stallion Farms 2YO S., 3d Nad al Sheba Shadwell Estate H., 4th Curragh National S., Gr.1. NEWS ALERT (04g, Brief Truce, King Apollo). 9 wins to 1250m, A$652,850, Qld Tatt's RC WJ Healy S., Gr.3, ATC Razor Sharp H., L, STC Canterbury Classic, L, City Tatt's RC Lightning H., L, BTC Chief de Beers H., L, STC Chifley Financial Services H., Edie's Freeway P., Murrumbidgee TC XXXX Gold Town P.H., 2d ATC Sebring S., Gr.3, AJC Razor Sharp H., L, Hawkesbury RC Yalumba Cup, L, ATC SCSI H., AJC Convention Centre Welter H., STC Grand Pavilion H., ATC Alpha Flight Services H., AJC Autumn Racing Carnival H., Prince Grant 2YO H., STC Angostura Bitters H., Welcome to the Jungle H., 3d QTC Lightning H., L, STC Lions Save Sight Foundation H., 4th ATC Galaxy H., Gr.1, VRC Seppelt Salinger S., Gr.2, ATC Canterbury Classic, L.
SNAEFELL (04g, Standaan, Lord Gayle). 8 wins-1 at 2-at 5f, 6f, £2,953, €368,241, Leopardstown Phoenix Sprint S., Gr.3-twice, Curragh Renaissance S., Gr.3, Bud Light S., L, Naas Woodlands S., L, Curragh Ladbrokes H., 2d Curragh Sapphire S., Gr.3, Greenlands S., Gr.3, Waterford Testimonial S., L, Fairyhouse Belgrave S., L, Tipperary Abergwaun S., L, 3d Curragh Greenlands S., Gr.3, Renaissance S., Gr.3, Naas Sprint S., L, Woodlands S., L, Fairyhouse Belgrave S., L, 4th Curragh Flying Five S., Gr.3, Renaissance S., Gr.3, Royal Ascot Windsor Castle S., L, Curragh Waterford Testimonial S., L-twice, Naas Sprint S., L-twice. CHRYSANTHEMUM (08f, Sadler's Wells, Southern Halo). 5 wins-2 at 2-from 7f to 1¼m, €211,336, Curragh Park S., Gr.3, Park Express S., Gr.3, Flame of Tara S., L, Alleged S., L, Cork Navigation S., L, 3d Curragh Pretty Polly S., Gr.1, Gowran Park Victor McCalmont Memorial S., L.
CARRIBEAN SUNSET (05f, Royal Academy, King's Bishop). 4 wins from 7f to 8½f, £29,348, €323,250, US$349,284, Leopardstown Derrinstown Stud One Thousand Guineas Trial, Gr.3, Desmond S., Gr.3, One Thousand Guineas Trial, Gr.3, Philadelphia Park Dr James Penny Memorial H., L, 2d Saratoga Diana S., Gr.1, Belmont Beaugay S., Gr.3, 3d Royal Ascot Coronation S., Gr.1, Irish One Thousand Guineas, Gr.1, Del Mar Palomar H., Gr.2, Curragh Goffs 2YO Fillies' Million S., 4th Hollywood Park American Oaks, Gr.1, Belmont Just a Game S., Gr.1, Keeneland Jenny Wiley S., Gr.2, Curragh Park S., Gr.3. FRANCIS OF ASSISI (10g, Kingmambo, Sadler's Wells). 8 wins-1 at 2-from 1200m to 3300m, £22,625, €56,275, A$365,000, VRC Queen Elizabeth S., Gr.3, Bendigo Cup, Gr.3, Leopardstown Knockaire S., L, Curragh Gabriel Curran Memorial Madrid H., 2d Leopardstown Knockaire S., L, 3d Sandown Winter Novice Hurdle, 4th York Silver Cup, L.
TUSCAN SLING (10f, Kenny's Best Pal, Lord Seymour). 7 wins to 1400m, A$405,400, MRC Geoffrey Bellmaine S., Gr.3, Mannerism S., Gr.3, Christmas S., L, MVRC Jeep 55 Second Challenge Heat 1 H., EJ Whitten Foundation H., Sportingbet William Hill H., 2d MVRC Jeep 55 Second Challenge Heat H., 3d MRC Alinghi S., L, MVRC Jeep 55 Second Challenge Heat 8 H., MRC Grand Hotel Frankston H.
I'M IMPOSING (06g, Sadler's Wells, Petingo). 7 wins-1 at 2-from 1500m to 2100m, £31,246, A$619,950, ATC Summer Cup, Gr.3-twice, Festival S., L, Shoot Out H., York Bluesquare.com H., MRC Catanach's Jewellers Ladies' Day P., 2d ATC Villiers S., Gr.2, Colin Stephen H., Gr.3, Lord Mayor's Cup, L, Winter Challenge H., L, Sydney Markets Filante H., Royal Ascot Duke of Edinburgh H., Newmarket Curragh Home of the Irish Classics H., 3d BRC Doomben Cup, Gr.1, GCTC AD Hollindale S., Gr.2, ATC Doncaster Mile Prelude, Gr.3, Craven P., Gr.3, Summer Cup, Gr.3, BRC Lord Mayor's Cup, Gr.3, ATC Ranvet H., Rydges Cronulla H., 4th Gosford Cup, L.
CRIMSON BLOSSOM (03f, Kahyasi, Shirley Heights). 7 wins from 1200m to 2000m, R406,030, Kenilworth Final Fling S., Gr.3, Victress S., L, Clairwood East Coast H., L, 2d Kenilworth Sun Classique H., L, Ladies Mile, L.
OSAILA (12f, Entrepreneur, Riverman). 5 wins-3 at 2-from 6f to 1m, £296,792, €6,000, US$117,850, Ascot Princess Margaret S., Gr.3, Newmarket Nell Gwyn S., Gr.3, Royal Ascot Sandringham H., L, Newmarket Tattersalls Millions 2YO Fillies' Trophy, Doncaster 188bet S., 2d Goodwood Oak Tree S., Gr.3, 3d Breeders' Cup Juvenile Fillies Turf, Gr.1. DECADO (03c, Green Dancer, Habitat). 4 wins-1 at 2-at 7f, 9f, £4,050, €215,389, US$10,960, Curragh Tetrarch S., Gr.3, International S., Gr.3, Loughbrown S., L, Leopardstown Irish Stallion Farms 2YO S., 3d Irish Two Thousand Guineas, Gr.1, Curragh Royal Whip S., Gr.2, Leopardstown Amethyst S., Gr.3, Heritage S., L.
INDESATCHEL (02c, Petorius, Sallust). 4 wins-1 at 2-at 7f, £29,000, €283,842, Newbury Greenham S., Gr.3, Curragh Tetrarch S., Gr.3, Loughbrown S., L, Equine Groundcare 2YO S., 2d Longchamp Poule d'Essai des Poulains, Gr.1, Curragh Blenheim S., L, Tattersalls Ireland Sale 2YO S., 3d Curragh Round Tower S., Gr.3, Anglesey S., Gr.3, 4th Curragh Beresford S., Gr.2, Gladness S., Gr.3. ZIRIA (99f, Be My Guest, Wolverlife). 4 wins-2 at 2-at 900m, 1000m, Chantilly Prix du Bois, Gr.3, Longchamp Prix du Petit Couvert, Gr.3, Chantilly Prix Hampton, L, Saint-Cloud Prixblush, 2d Deauville Prix du Cercle, L, 4th Chantilly Prix du Gros-Chene, Gr.2. BARBAJUAN (01c, Saddlers' Hall, Top Command). 10 wins-3 at 2-from 1000m to 1800m, Sandown Solario S., Gr.3, Macau Winter Trophy, L, Japan Racing Association Trophy, Huntercombe H., Kempton Manor 2YO S., 2d Macau Genoa H., Macau Star of the Sand S., 3d Milan Gran Criterium, Gr.1, Macau Directors' Cup, L, Macau Cup, L, 4th Curragh National S., Gr.1, Royal Ascot Coventry S., Gr.3. His sire sons include Choisir (94), Mastercraftsman (59), Fast Company (17), Lizard Island (14), Jeremy (7), Silent Times (6), Monsieur Bond (6), Air Chief Marshal, Alfred Nobel, Indesatchel, Where or When, Abbeyside, Planteur, Decado, etc. His current stars include Group 1 winners DIVINE PROPHET and JAPONISME and Group-winning 2YO THE MISSION.